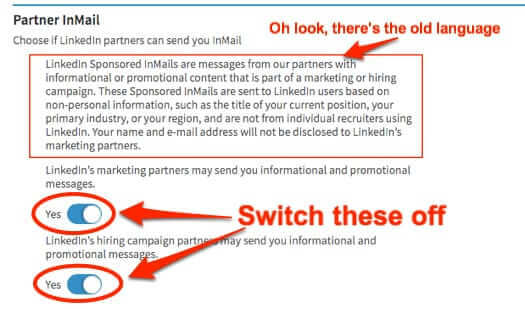 We first wrote about this back in 2014, when we explained back then How to Opt Out of LinkedIn Sponsored InMail, however the ‘how to opt out’ instructions have changed a bit, as has LinkedIn’s language, so we figured that it was time to write an updated article. 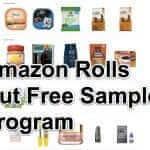 LinkedIn Sponsored InMails are messages from our partners with informational or promotional content that is part of a marketing or hiring campaign. These Sponsored InMails are sent to LinkedIn users based on non-personal information, such as the title of your current position, your primary industry, or your region, and are not from individual recruiters using LinkedIn. Your name and e-mail address will not be disclosed to LinkedIn’s marketing partners. Note that in the current language LinkedIn no longer calls them Sponsored InMails (perhaps too many spam filters were tagging that), and now just calls them ‘promotional messages’. Also, instead of describing it as being from a promotional campaign, LinkedIn now explains they are actually from marketing or hiring “partners”. 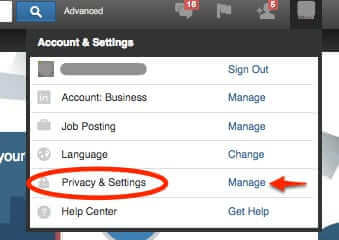 Finally, while previously LinkedIn told you that the promotional messages were based on “non-personal information, such as the title of your current position, your primary industry, or your region”, now LinkedIn cops to the fact that they are also based on, among other things, your browsing activity. LinkedIn is sending you targeted promotional messages based on your browsing activity. 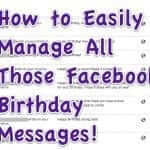 To the inbox that you pay for. Don’t like that? Neither do we. 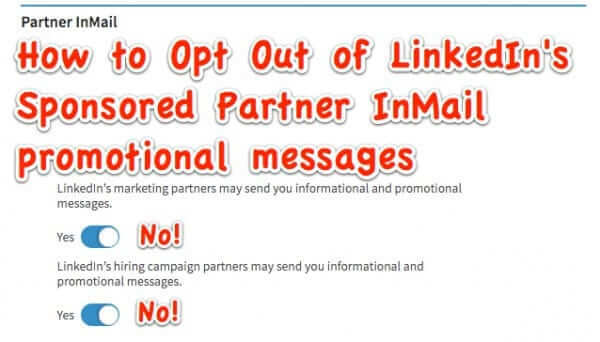 So here’s how to opt out of LinkedIn’s ‘promotional messages’. 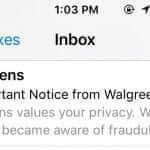 This will reveal all – including the old wording about LinkedIn Sponsored Messages, and two switches to turn off both “LinkedIn’s marketing partners may send you informational and promotional messages” and “LinkedIn’s hiring campaign partners may send you informational and promotional messages”. The act of toggling the switches off will automatically save your new setting. Now, all that said, if you are already logged in to LinkedIn, this link may still get you to a page where you can opt out of Sponsored InMail directly – but if it doesn’t, the above steps will get you there. LinkedIn has ramped up their promotional message program - also known as sponsored messages (or as some call it, LinkedIn spam). Promotional messages, explains LinkedIn, are "from a marketing or hiring partner and was sent to you based on your browsing activity or non-personal information such as job title, primary industry, or region." Here's how to make it stop.